Hey everyone! I'm linking up with Kathryn@Book Date again this week to share an update of my reading week with you. 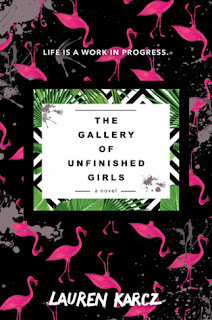 I finished reading "The Gallery of Unfinished Girls" by Lauren Karcz- a young adult book I received for review from HarperCollins through Edelweiss. 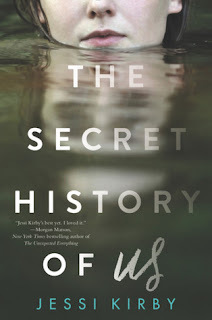 I finished reading "The Secret History of Us" by Jessi Kirbi- another YA book I received for review through Edelweiss. You can expect my review by 30th July 2017. 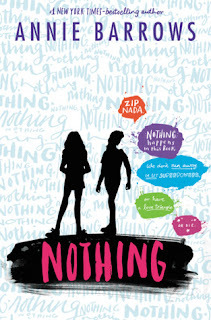 I began reading "Nothing" by Annie Barrows, (Review copy) a story about young book lovers that has me really intrigued. I haven't had much time for regular reading this week, but next week I hope to pick up "The Dream Thieves" by Maggie Stiefvater. I hope you've all had a great reading week as well! I'm looking forward to visiting your blogs and hearing all about them! I, Eliza Hamilton is going right onto the wishlist. Stage one of the move is complete. We're out of our house and now we're trying to get it ready to put on the market. Come see what I'm reading. Congratulations on completing the first step in what I know must be a tedious process! All your books sound interesting. Even though I am not from the USA I Eliza Hamilton appeals to me. I'm not from the USA either- but I'm finding the book to be a great read! All of those books sound interesting. I'm working on a bunch of review books now too. Come see my week here. Have a great week! I'm on my way to your blog now Kathy! Thanks so much for stopping by! Ooh, I want to read I, Eliza Hamilton! And I've read an Annie Barrows book before, it wasn't too bad! Great list of books! I agree with you-so far the Annie Barrows book is "not too bad"- I'm not really enjoying it as much as I expected to. Keen to see what you thought of The Secret History Of Us. I just read that one too. I'm getting a mystery/thriller vibe from The Secret History of Us cover. I just finished a thriller myself and kept thinking I needed to pick up the genre more. 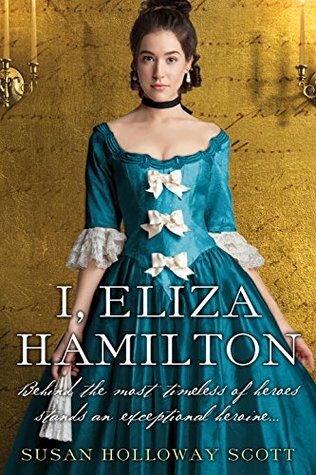 I hope I, Eliza Hamilton turns out to be a fantastic read for you!